If a person entering Leadbelly had cause to wonder if the establishment was named after Blues pioneer Huddie (Leadbelly) Ledbetter, all doubt would have been washed away when they saw the bright neon sign featuring the lyrics from the song “In the Pines”, made famous by Ledbetter, on the wall. Lovers of classic blues and American folk music recognise these lyrics and the name of this gorgeous Newtown club right away. The sign seems to signify to patrons Leadbelly’s bonafide reputation as a spot for serious music lovers. If that’s not convincing enough, Leadbelly has an impressive, broad-ranging set of acts performing rock and roll, blues and reggae among other genres. 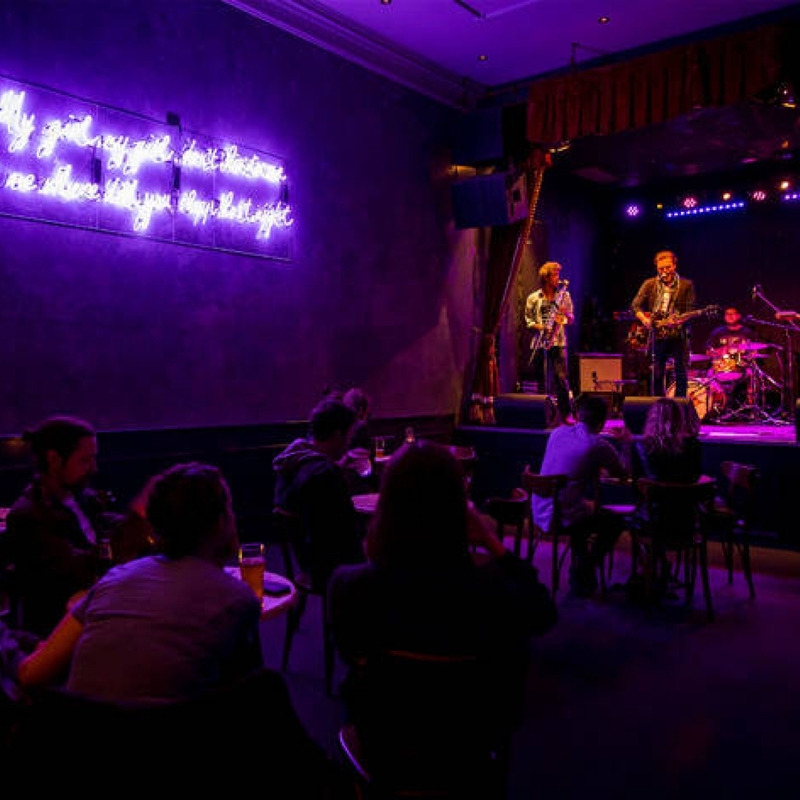 The award-winning blues/roots singer Katie J White, Melbourne’s Perch Creek and the eight-piece funk/rock group White Tree Band have all performed at Leadbelly. The menu at Leadbelly is as rich, sultry and bluesy as its décor. Buffalo wings and jalapeno poppers live on the same list as halloumi fritters and arancini. The drinks menu is fun and elegant. Beer and wine share space with exotic cocktails like the ‘Deja blue’, ‘winter sour’ and ‘orchard fire’. Public Transport: If you are travelling by train, get off at Newtown Station, and Leadbelly is 10 minutes away on foot. If getting off at Central Station, the venue is a 10-minute taxi ride away. It is easy to hail a cab outside of Leadbelly, and some buses stop near the door.